nSoftware IP*Works! ZIP v16.0.6975 for ActiveX/ASP/COM/Delphi/.NET Edition » Developer Team :: Best choice for developers! Components support major compression and archiving standards including Zip, Jar, Gzip, 7-Zip, Bzip2, ZCompress, and Tar. IP*Works! Zip is a suite of robust, easy, fast, and effective components enabling developers to embed file and streaming compression into web or desktop applications. Supports major compression/decompression standards including Zip, Jar, Gzip, 7-Zip, Bzip2, ZCompress, and Tar. Streaming support during file compression/decompression. Delete individual files within and archive without decompressing the entire file. Support for the Open XML Packaging format used in Microsoft Office. List the contents of Zip files without having to decompress. Configurable compression level and performance optimization based on either speed or compression ratio. Easily compress or decompress entire directories and their contents. PKZip-compatible Zip compressor for creating self-extracting archives for native Windows platforms. 128-bit, 192-bit, and 256-bit Advanced Encryption Standard (AES) encryption. 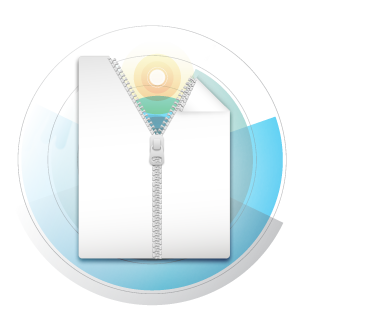 Zip64 Archives support - 4GB+ zip files with virtually unlimited number of included files.